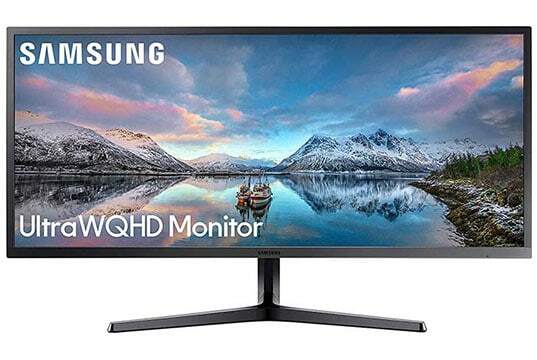 The Samsung S34J55W is the only 34″ 3440×1440 ultrawide display with a VA panel available; it’s also the most affordable 1440p ultrawide display! 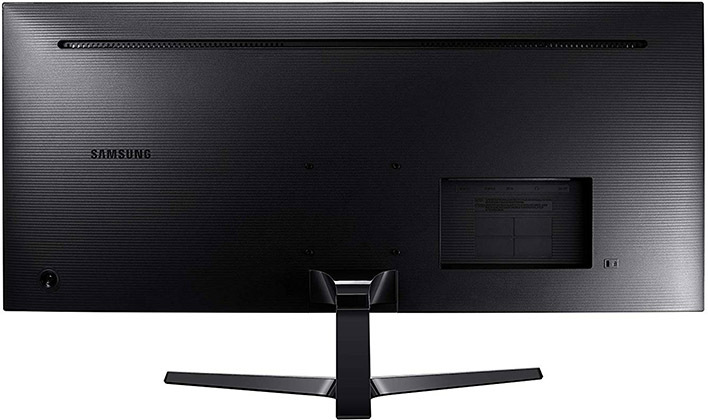 Other VA-panel ultrawide displays with UWQHD screen resolution feature either a 100Hz or a 120Hz (overclockable) refresh rate while the IPS 1440p ultrawide models are more widespread with refresh rates ranging from 60Hz up to 144Hz. Let’s see how the Samsung S34J55W compares to the more expensive 34″ 3440×1440 IPS models. Featuring an SVA (VA) panel by Samsung with a 3,000:1 static contrast ratio, the Samsung SJ55W is actually capable of producing deeper black shades as well as a better relation between the darkest and the brightest colors than its IPS counterparts. However, when it comes to color reproduction, IPS displays have the upper hand thanks to their better accuracy and consistency. 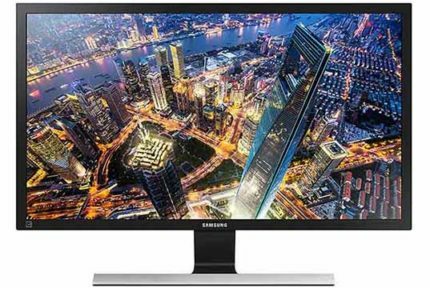 Nevertheless, the Samsung S34J55W monitor offers rich colors with true 8-bit depth covering the standard sRGB color gamut while the high 3440×1440 resolution ensures crisp details and plenty of screen space. Other panel-related specs include a 300-nit peak brightness, 178-degree wide viewing angles, a 4ms response time speed, and a 75Hz refresh rate. Overall, the picture quality is exceptional considering the monitor’s price. You also get a lot of screen real estate which makes this ultrawide monitor perfect for productivity, multi-tasking, spreadsheets, and other office-related work. Thanks to its superior contrast, the Samsung S34J55W is a great display for watching movies, everyday use, and video games – but there are a few things you should keep in mind when it comes to gaming. While the black shades are eye-catching and deep, dark pixels also take longer to change from one shade to another which results in prominent ghosting in fast-paced games. So, if you’re a competitive gamer, we don’t recommend this monitor for you. 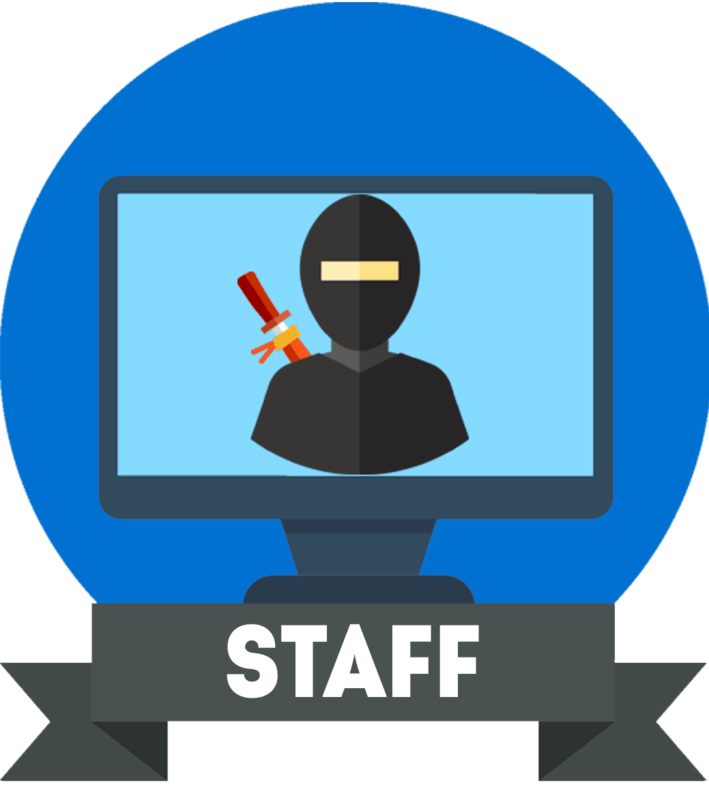 Instead, you should look for a TN panel gaming monitor for the best performance but a lower picture quality – or an IPS panel display for a more balanced performance/image quality ratio. The Samsung S34J55W input lag performance, on the other hand, is a lot better with only ~14ms of delay which is very good for a 75Hz monitor. If you have a FreeSync compatible graphics card, you will be able to synchronize the monitor’s refresh rate and the GPU’s frame rate which will remove all screen tearing and stuttering within the variable refresh rate range of the Samsung S34J55W which amounts to 48Hz-75Hz/FPS (Frames Per Second). Update: On the Samsung SJ55W, FreeSync also works with compatible NVIDIA G-SYNC graphics cards without issues. Further, using CRU, it’s possible to extend the lower end of the VRR range to ~35Hz, and overclock the display up to ~90Hz though your mileage may vary depending on the panel quality of your particular model. Lastly, make sure your favorite games support the 21:9 ultrawide aspect ratio; otherwise, you will have to play with black borders around the screen or with a stretched out picture. The OSD (On-Screen Display) menu of the Samsung S34J55W ultrawide display is navigated via the joystick that’s located at the back of the monitor. In addition to the standard brightness/contrast, input source, color temperature, etc settings, you will also find Picture by Picture and Picture in Picture as well as the Low Input Lag option which reduces input lag by bypassing certain image post-processing. Just like most modern monitors, the Samsung S34J55W has a flicker-free LED backlight and a low-blue light filter. There’s also a built-in ECO Light Sensor that automatically adjusts the monitor’s brightness according to the ambient lighting. The design is very slim while the matte black plastic bezels are reasonably thick. The stand is tilt-only, but the base is detachable and VESA mount compatible. Connectivity options include an HDMI 2.0, an HDMI 1.4, a DisplayPort 1.2, and a headphones jack. 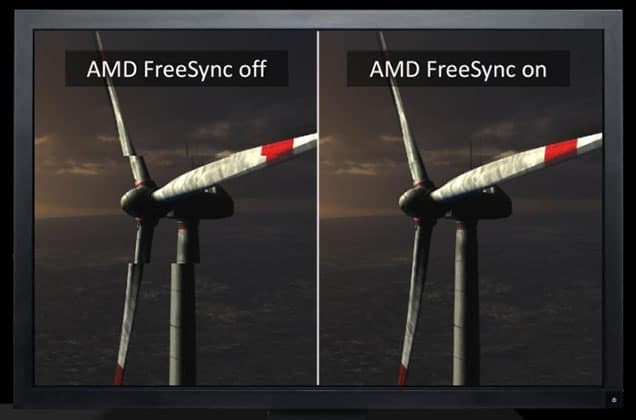 FreeSync works over HDMI 2.0 and DisplayPort 1.2. 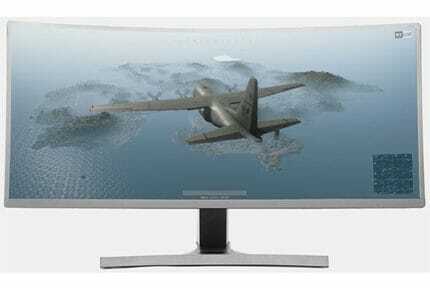 The Samsung S34J55W is usually priced at around $430 which makes it the most affordable 3440×1440 ultrawide monitor. If you want a similar 1440p ultrawide display but with an IPS panel, check out the LG 34UC80 curved model, and the LG 34UM88C flat screen version. For more information about ultrawide monitors and the best deals currently available, check out our best ultrawide monitors buyer’s guide. All in all, the Samsung S34J55W flat ultrawide display is an outstanding monitor for the money. It’s great for work, multimedia entertainment, and casual gaming. 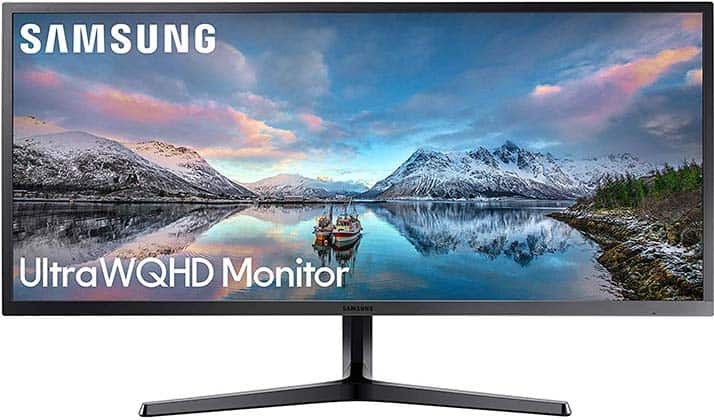 The Samsung S34J55W is the most affordable 1440p ultrawide display which makes it a great budget option for everyday, gaming, and office-related work.